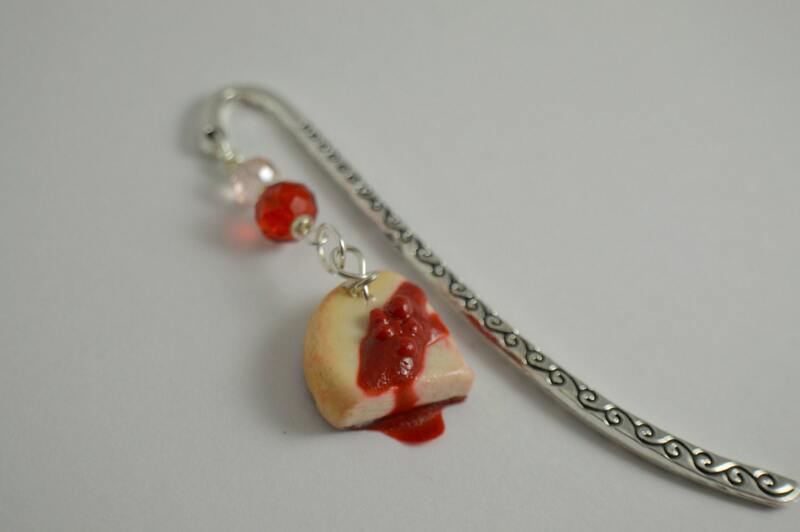 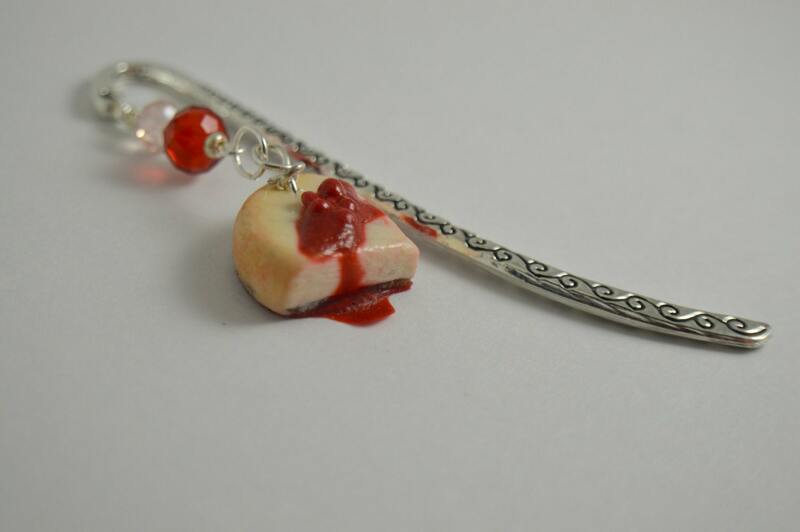 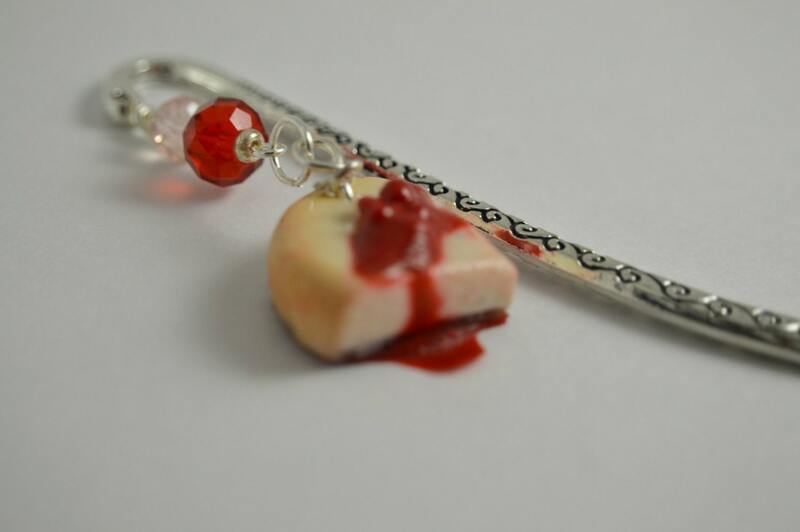 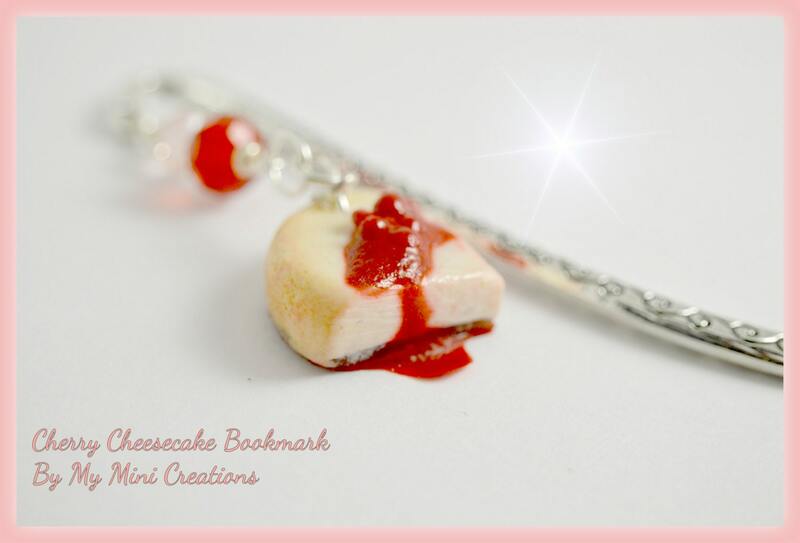 Handmade Polymer clay miniature cake This swirly bookmark has red and white Swavorski beads Cheesecake with cherry on top. . All items are hand made with care.